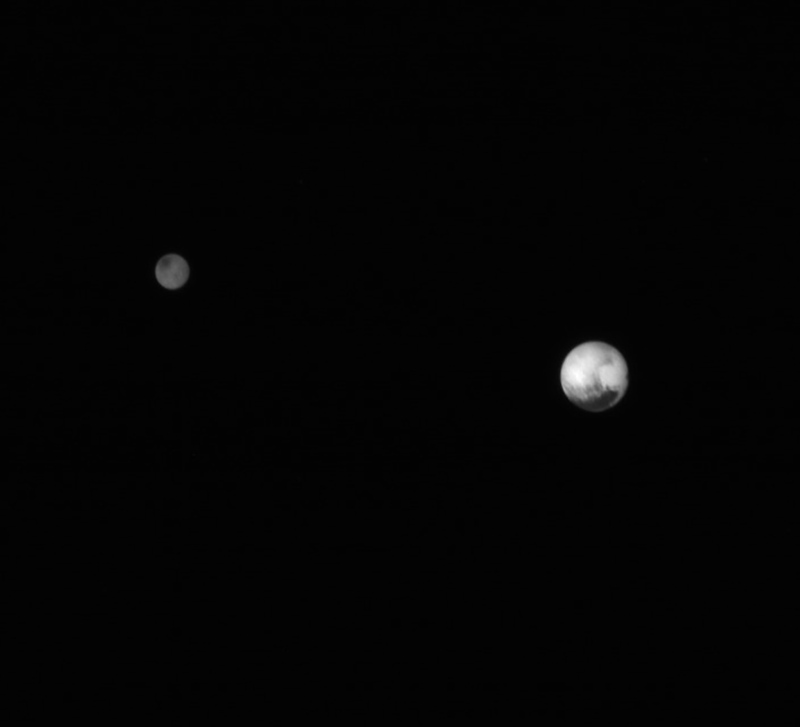 That said, this view of the two worlds – captured by the LORRI camera on July 7 – is simply incredible! It’s hard to believe that we are now seeing such detail on a 1,430-mile-wide (2,302 km) planet that had been for so long just a point of light or, at best, a murky blob in our best telescopes. What an exciting time to be a fan of space exploration! 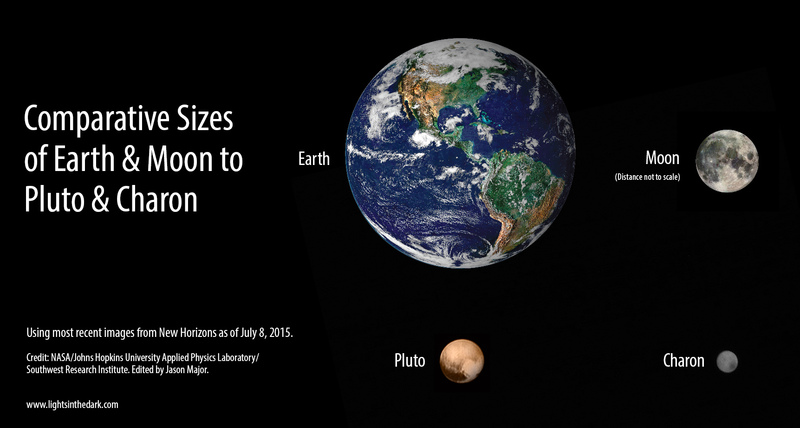 Read more: Are You Ready for Pluto? 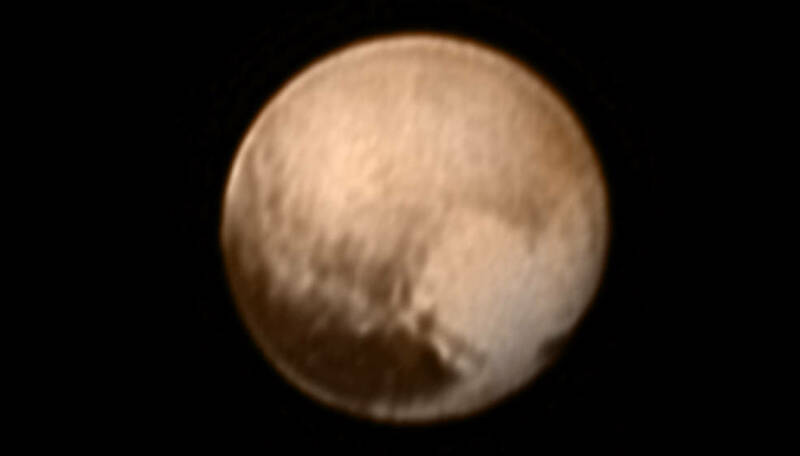 Also by combining images from LORRI with low-resolution color data from the Ralph instrument, the below image of Pluto was created that shows a heart-shaped bright region. Lovin’ it! Learn more about New Horizons’ instruments here. Previous Post How Did Pluto Get Its Spots? It’s a very cool mission. And we’ll be getting data afterwards from New Horizons for months. Good stuff. Stunning. So glad you referred to it as a planet. Awesome pics !! And le best is… for the 14 ! !